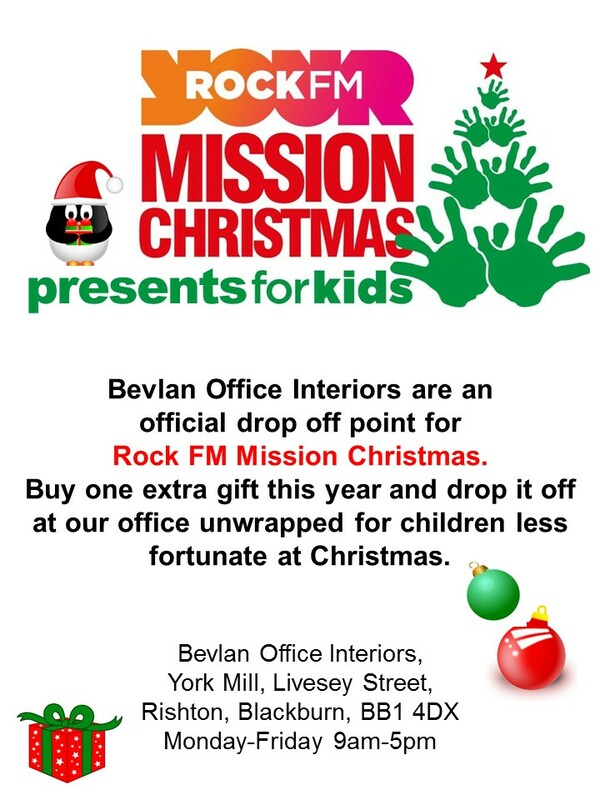 So it’s that time of year again, Rock FM cash for kids have launched Mission Christmas for those children less fortunate at christmas time and this year we have signed up as an official drop off point. Rock FM cash for kids is a charity that supports disabled, ill and disadvantaged children in Lancashire. They strive to ensure every child lives life to the full and achieves their potential. Last year they helped over 20,000 children living right here in Lancashire with 12,500 of these being supported at Christmas time. Mission Christmas was created due to the fact that across the UK 1 in 3 children live in poverty. That equates to nearly 4 million children. For these families christmas is a luxury they simply cannot afford. Rock FM Mission Christmas has been created to ensure that every child has a happy Christmas. We are asking everyone to support mission christmas by buying one extra gift (or more if you want to be generous…) or make a donation to the appeal, no gift or donation is too small, every gift and donation is huge to these children. Rock FM support hundreds of voluntary and charitable organisations that support disadvantaged children including Social Services, Head Teachers and Health Professionals. These organisations apply for gifts on behalf of the children they support who are not expecting a visit from Santa this year. We are collecting gifts at our head office/showroom in Blackburn in our opening times which are Monday-Friday 9am to 5pm. Our full address is York Mill, Livesey Street, Rishton, Blackburn, BB1 4DX. We are collecting up to the Friday 16th December when we will then deliver to Rock FM’s collection point. Best wishes and a huge thank you to everybody that contributes and gets involved! To see more of what is happening for mission christmas. Check out their website here.